During a visit to Ethiopia in 1992, ECDC President Tsehaye Teferra observed the loss and damage that had occurred to objects and sites of cultural importance in Axum. The dilapidated state of the former Governor’s Palace (the ’Inda Nebri’id) left a particularly vivid impression. 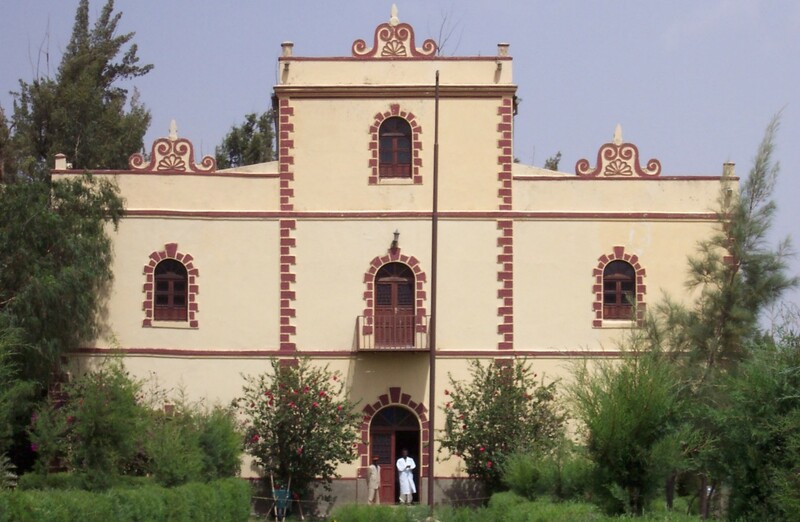 Growing up in Axum, Dr. Teferra remembered it as a place held in high regard by the community. However, after the overthrow of Ethiopian Emperor Haile Selassie, the building was used by the new Marxist Derg regime as a military barracks and prison. Dr. Teferra decided that a place that had grown to be associated with the abuses of the Derg should be transformed into a place of education and community development. Soon after this realization, ECDC developed a plan of action to restore the ‘Inda Nebri’id and transform it into a cultural center that promotes the unique heritage of Axum. A subsidiary of ECDC, the Axumite Heritage Foundation (AHF) was established to implement Dr. Teferra’s vision and oversee the creation of a new Axumite Heritage Library, a museum, and eventually the Institute of Axumite Studies. AHF took on stewardship of the ’Inda Nebri’id, and its renovation was completed at a cost of $100,000. The AHF then solicited and shipped book donations and educational materials to the ’Inda Nebri’id, which opened its doors as a public library in 2002.